With this product you can accumulate up to 229 Glitter Points. Fights the signs of aging. 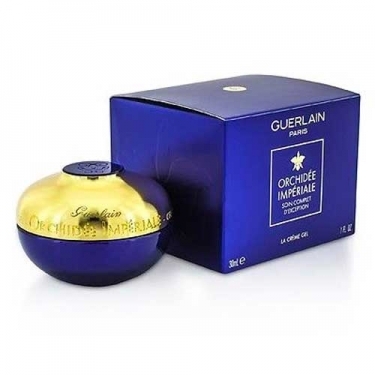 DESCRIPTION: Orchidée Impériale - La Crème Gel from Guerlain is a very refreshing gel cream. Its light texture fuses with the skin for an immediate effect of beauty and pleasure. Infused with the Gold Orchid Complex, this care fights the signs of aging. The skin becomes denser, smoother and even, like an orchid petal. Apply to the face with circular motions.